On 29 and 30 June 1962 three bombs exploded in Barcelona, one at the local Falange headquarters, another at the Monterols College — linked in those years to the far-right Opus Dei movement — the third in the National Insurance Institute. There were no casualties and damage was minimal. 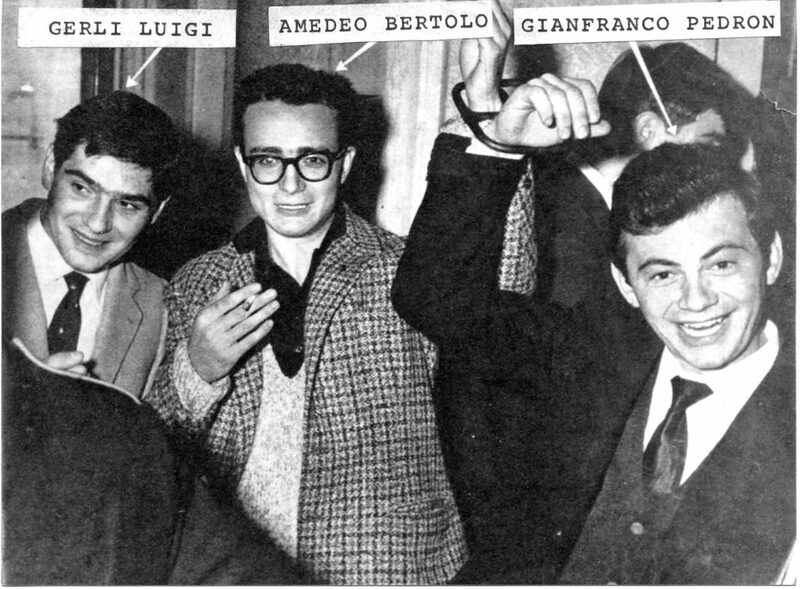 On 19 September 1962 three young libertarian members of the local anti-fascist resistance were arrested and charged with carrying out these attacks: Jorge Conill, a chemistry student at the University of Barcelona; Marcelino Jiménez and Antonio Mur Peirón Cubas, both workers. On 22 September, the three youths were tried by a court martial on charges of terrorism and banditry and one of whom, Conill, was sentenced to death. In Milan, the Libertarian Youth Group attempted to prevent his execution by kidnapping Spain’s vice consul in the city. 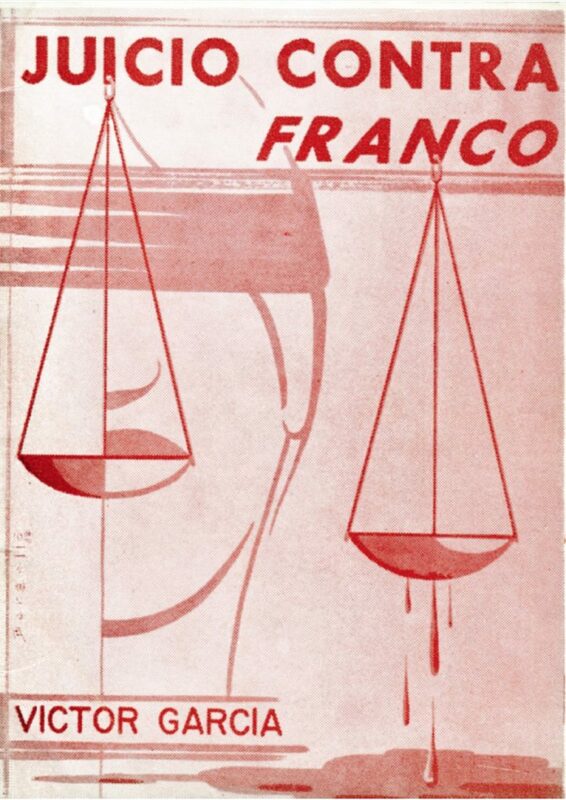 The subject of this booklet is the 1962 trial, in Varese, Italy, of these libertarian activists and several supporters involved in the kidnapping— a trial that ended in a resounding condemnation of the Franco regime. The so-called democracies ignored the protest and continued supporting Franco’s clerico-fascist regime in Spain. And why not? After all, it provided them with a good, cheap, tourist destination, cheaper labour and, to complete the picture, all the military bases they so desperately needed to maintain the East-West balance of power in Europe. Meanwhile, to save itself from impending economic collapse, Francoism saw only one possible salvation, entry into the European Common Market. For this reason the regime turned all its diplomats, its influence and propaganda efforts to reinventing Francoism in a feverish PR exercise to convince democratic countries of the EC that the regime was changing and had had democratic aspirations. Hence the easing of restrictions on the press, the election of trade union officials within the fascist syndicates (unions), the introduction into the Spanish political scene of an unusual vice-president of the Council — and the anticipation of the regency and the coronation of a Bourbon king. Hence, too, the tiresome mantra spread by many deluded and some paid-for agents that “In Spain there are no political prisoners”. The most dramatic rejection of this slogan was pronounced in the small Italian town of Varese during the trial of the young libertarians accused of kidnapping the vice-consul in Milan. As witnesses and accused appeared in the Varese courtroom, it became clear that the principal accused was not among the defendants in the dock: Francisco Franco, Caudillo of Spain by the Grace of God. In the world of today, any defiance of political oppression, any mass resistance to economic madness, any direct action to defend or regain living standards is all too often met with assault by the boss class’s lickspittle legal machine. This book provides a useful and heartening account of how the full force of the law was challenged and derailed in court to provide an exemplary victory for natural justice, with the defendants triumphantly acquitted outright of any wrongdoing, while instead the mask of innocence was torn away from the ultimate oppressors, who were themselves indicted with many of the grossest of crimes.